Last year I didn't make any Christmas tags to put on gifts and I ended up using store bought ones, oh oh. So this year I decided to make a bunch of gift tags and use up paper that I have been hoarding for a long time! 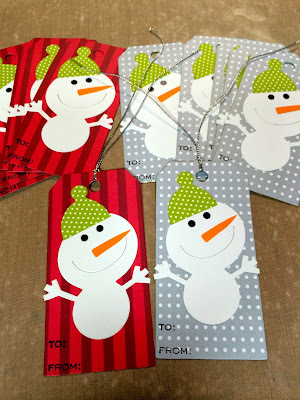 I used a Tim Holtz gift tag die to cut all the tags and a snowman die from last year. Love those steel ruled dies where I can cut through 6 layers at a time. This is today's batch and I'll cut different ones tomorrow. I'm keeping it very simple. I have quite a bit of Christmas dies to choose from. 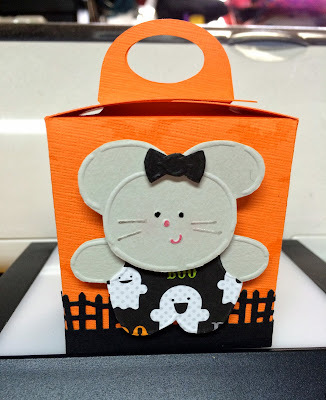 I'm hoping to make some cards too. Thanks for stopping by and I do hope I get to finish the rest of my Christmas to do list!!! Seriously, I was all set to post this the other day and then my computer went wonky again. I could not get on the internet all day and night. I've been MIA for awhile and missed the whole month of November. My husband had eye surgery the end of October and I spent 3 weeks driving him around everyday and it was rough getting anything done. So glad he is much better now. So here is a candy box/card that I made to give to the ladies in the stamp club group that I belong to. 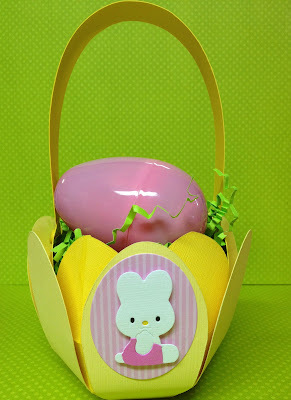 I got this cut file from Eunice who has a blog called "a star for chiemi". Go and visit her, she is amazing! I used my Eclips machine to cut this out. The dog and cat are stencils from Taj Clubhouse. I believe it's one of their latest releases. I kept this simple since I was running out of time to finish it. And would you believe that this is not the initial idea? I actually tore off everything on Monday and redid it all. Hopefully I can start working on my Christmas cards and tags that I need to finish. Thanks for stopping by today and I hope to post some Christmas projects soon!!! 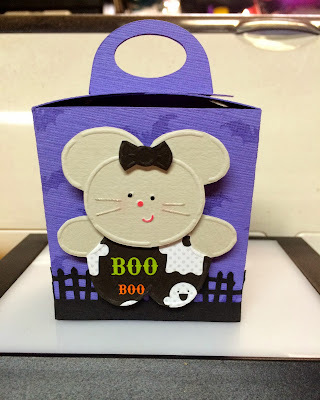 I just picked up this new Sizzix die - square accordion fold card from the store last weekend and finally had the chance to make something with it and use the magnetic platform for the first time. I am so impressed how strong the magnet is on the platform. I used another stencil from Taj that I bought when I bought the panda bear couple weeks ago. This one is a hula bunny but I decided to make it without the skirt. The stamp sentiment is also from Taj. And the ladybug is a die from Elizabeth Craft Designs. I know I haven't been posting much lately but by the time I get home, I am so tired that I can't even get myself motivated to make anything. My body is still adjusting to all the medication that I have to take and one of the side effects is, feeling very tired. Thanks for stopping by today and hope to be back real soon! Hi, I'm back again! I've been determined to figure out how to dry emboss so when I went to Taj Clubhouse last week, I bought a couple of stencils. It was much easier for me to use a stylus and a light box than running it through the big shot machine. I also took out my daylight lamp and it really helped me to see better so I could cut around the embossed pieces. 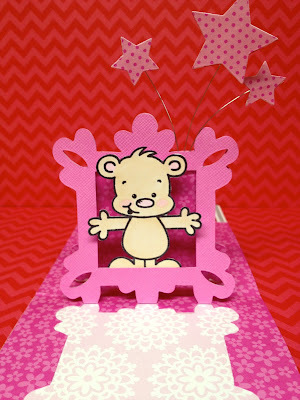 Here's a gatefold card that I ended up making using the panda bear that I embossed. 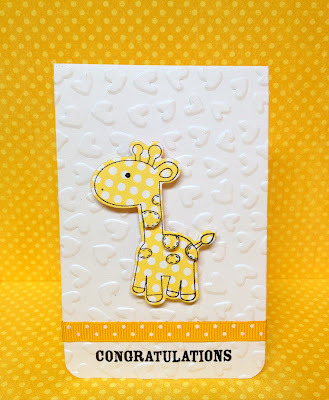 The sentiment on the inside of the card is from Dandelion Designs. Here's a close up of the panda bear. My cutting is still a little choppy but I think as I practice more, it will get better. I haven't used a camera to take photos in such a long time. I'm so amazed at how well the camera on my iPhone takes nice photos. Thanks for stopping by and leaving me a comment! It's nice to know that people still visit my blog. Hi I'm back again! I've been absent for awhile since there was so much going on in my life. My husband's mother had a stroke the beginning of August and so we were at the hospital every day/evening. She requested that she did not want to be revived in anyway. Her left side was partially paralyzed and she couldn't swallow or talk. She wasn't able to eat or drink any liquids. She passed away peacefully after 10 days. I've been busy as usual and working on selling different things which is why I've been lacking in crafting. But today I was able to get in a couple hours of crafting and made this card using a new Sizzix die. This is a new house card die from Sizzix. I had some Hello Kitty die cut pieces lying around and decided to use it for the front of the card. 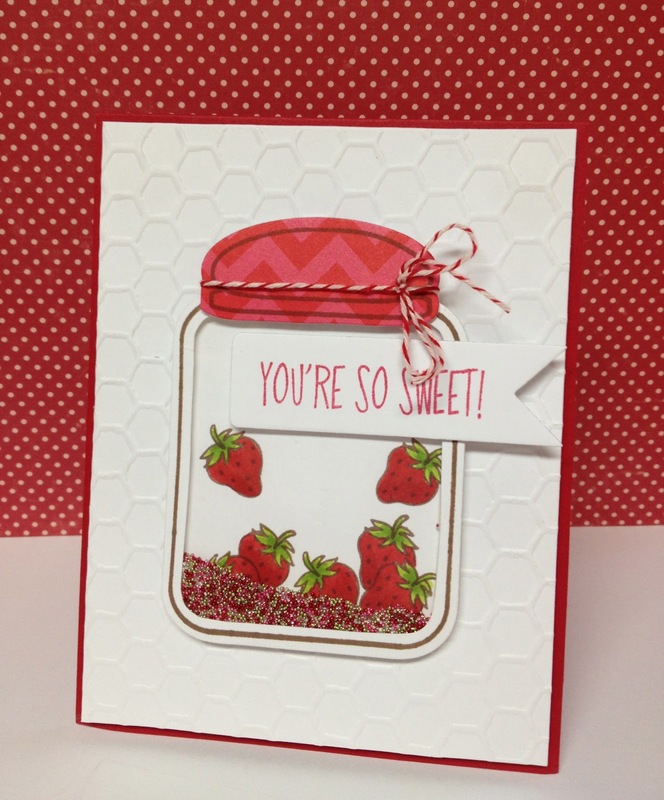 The stamped sentiment is from a Hero Arts clear stamp set. 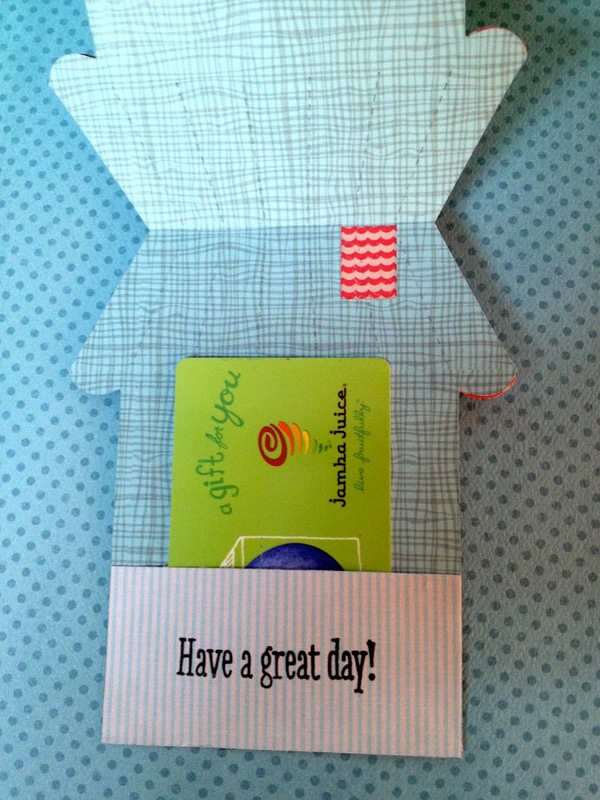 For the inside of the card, I decided to make it hold a gift card. The stamped sentiment is from the same Hero Arts clear set. Hope you're enjoying this holiday weekend! I had plans to go to the Okinawan festival today but changed my mind after feeling how hot it was outside. Thanks for stopping by and checking on me and have a great weekend!!! 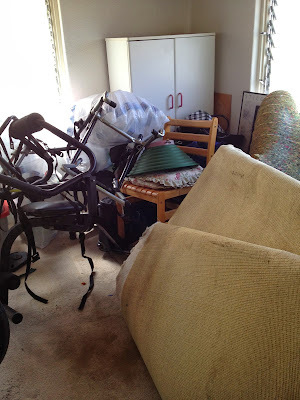 It's been so hot lately that I haven't been able to go downstairs to my craft room. I made it down there today since there was a little breeze. I had to make a birthday card and wanted to ink up this new stamp from Dandelion Designs from the flower girls stamp set. 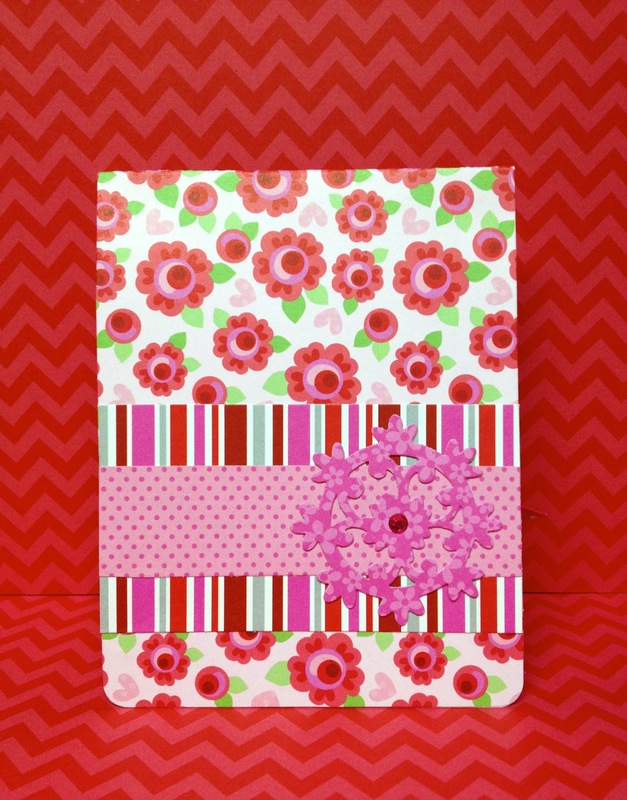 I finally got to use this cherry blossom embossing folder that a friend gave me a couple of months ago. It's been awhile since I last used my copic markers and I'm glad they still have ink in them. Last weekend I flew to Maui with Joy from Ben Franklin Crafts and I had such a nice time there! 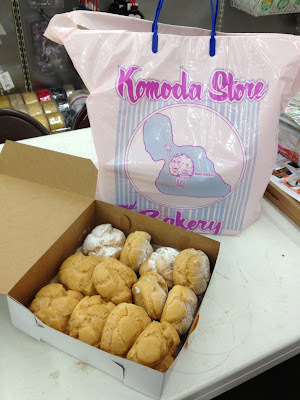 I can't believe that I have never eaten pastries from Komoda bakery. I've been to Maui hundreds of times and didn't know about that place. 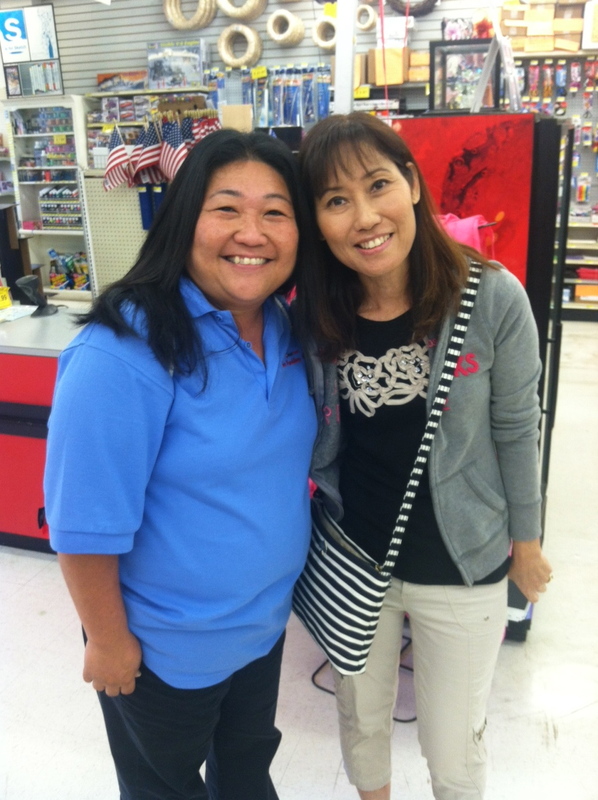 We were on Maui for the rebranding celebration of HouseMart Ben Franklin Crafts. Me and Joy before I started my make & take. 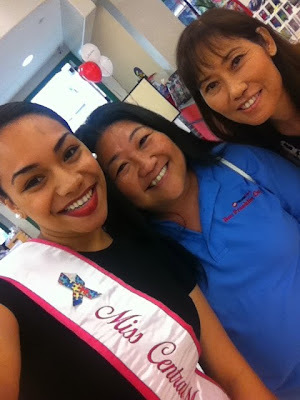 We met the Maui beauty queen. I forgot to take a photo of the make & take. Lol! Thanks for stopping by today!!! Have a great weekend! Hi again! I'm still here. Just haven't been able to make anything in awhile. 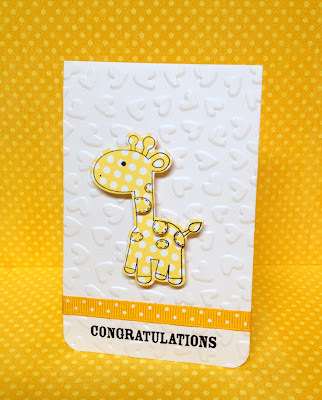 I made this card last week and then I got lazy and didn't take a photo of it. 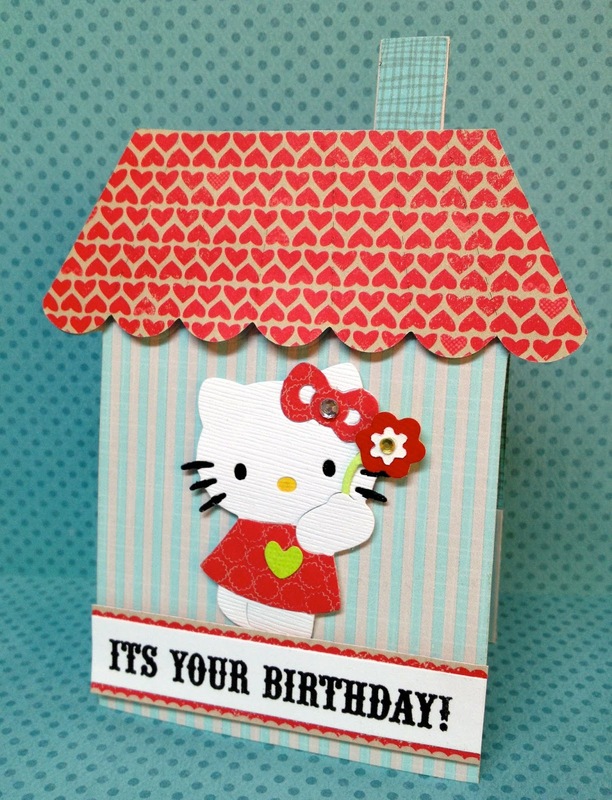 This is one of my favorite pop 'n cuts die by Karen Burniston called label window. There are now 2 base dies to use with all the different insert dies. I like how this wider base die also has a swirl die cut that you can use to decorate your card. I used Dandelion Designs new cling set called "flower girls". There are 4 different flower girls in the set. They also come in a small cling size too. 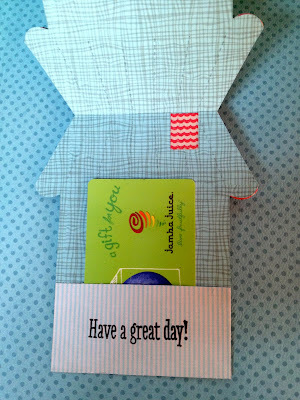 Here's a photo of how the card looks when you open it. 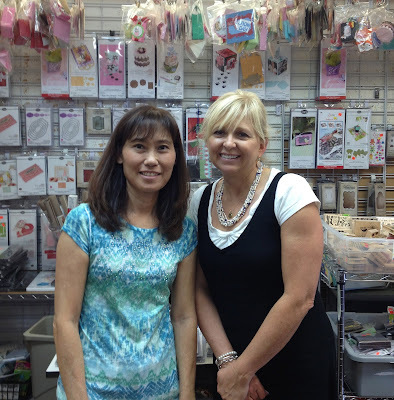 If you live on Maui, I'll be doing a make & take at the Ben Franklin Crafts store on July 20th from 10 - 12 pm. 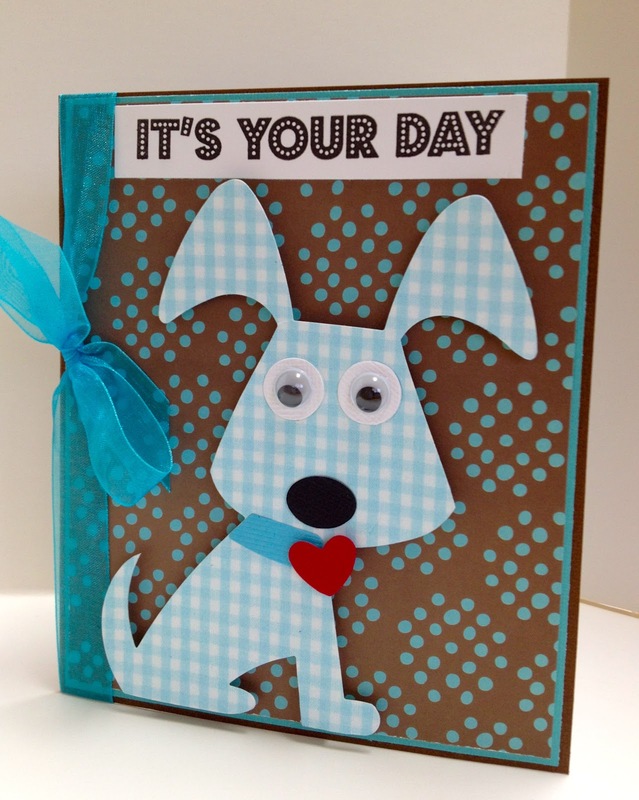 Stop by and say hi and make a card with me. I picked up a couple of dies from the store over the weekend. 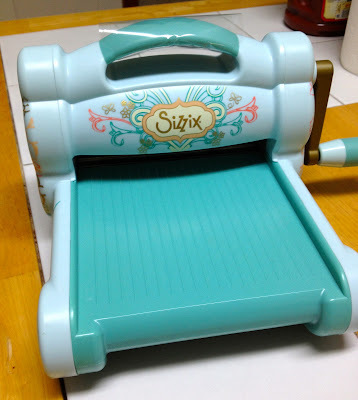 The newest release from Sizzix arrived last week and there were a bunch of them that I wanted to get my hands on. Lol! When I first saw this fence die, I knew I had to have it. It is designed by Eileen Hull. You can make it into a mini album or a card like I did in the photo. I used some older dies to make this card. 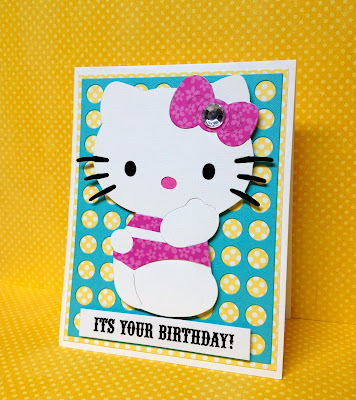 I used the Hello Kitty butterfly sizzlit die since I had some extras already cut out. I have a hard time throwing the extras away. The grass is a deco strip die that is also no longer available. The flowers came off of a Hello Kitty deco strip die. I can't remember the name of the die. The clouds are punches from Fiskars. Thanks for stopping by today and I appreciate all your comments too!!! Hi and hope you're having a great Sunday! I've been wanting to use this jar die and stamp set by Stephanie Barnard but never got around to it until today. I decided to make a shaker card since I haven't made one in awhile. Believe it or not, the strawberry stamp is by Hero Arts. It was on one of the teaching kits and I thought it would be cute to put it in the jar. 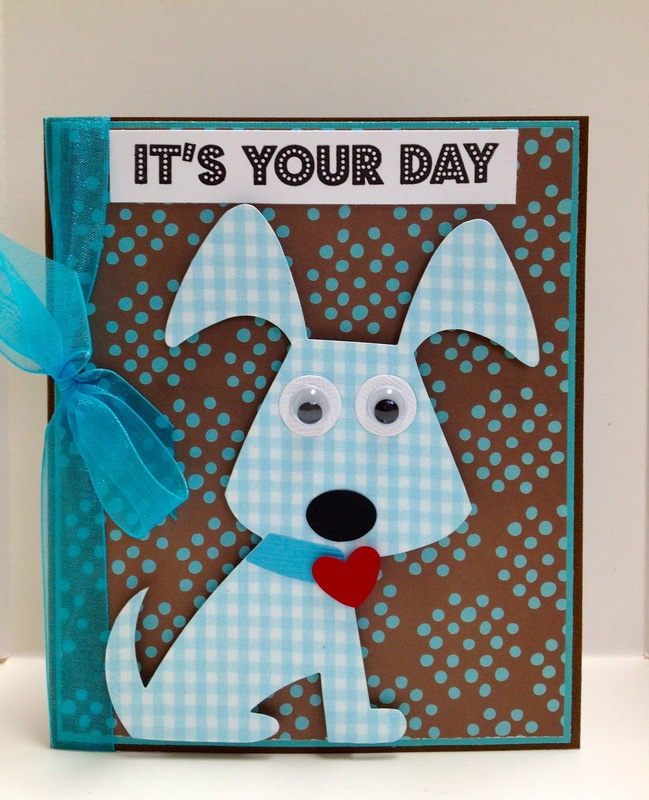 The white background is embossed with a Tim Holtz embossing folder. 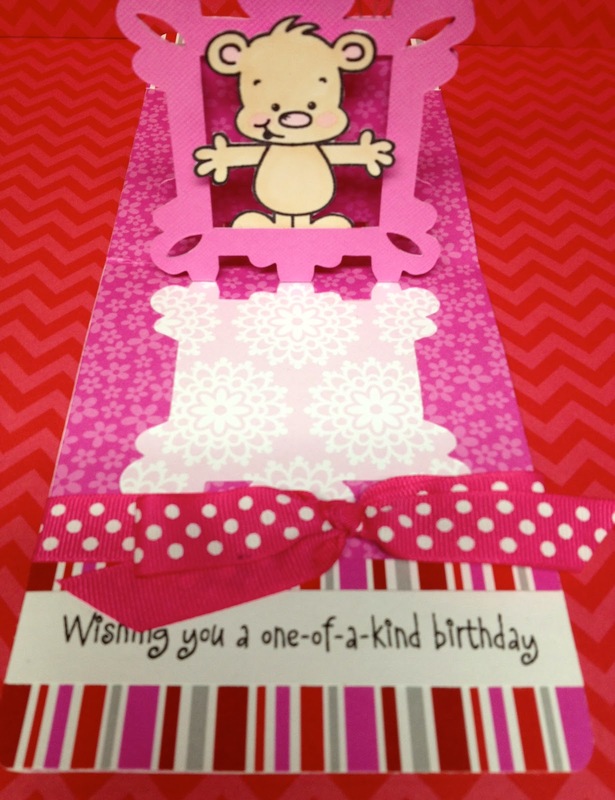 I used a banner framelit die to cut out the sentiment stamp. Sorry I haven't been around much but I am still dealing with my heart problems. My doctor keeps increasing the dosage on the meds that I take and now the heart part is fine but I'm feeling miserable because I am so dizzy and can't see straight. It's scary to be driving but I have to drive. Hi, I've been quite busy with Cheri in town since last week and this week. I thought I'd share some photos here. 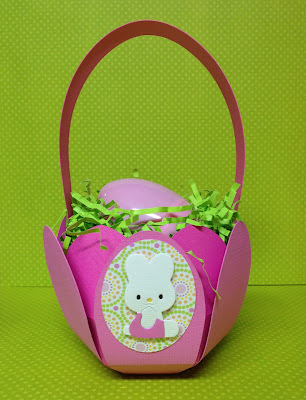 We did a couple make & takes last weekend and we have a couple this weekend. I posted our make & takes on my sidebar. Hope to see you at one of the Ben Franklin Craft stores this weekend! I had Cliff take a photo of us before I forget. 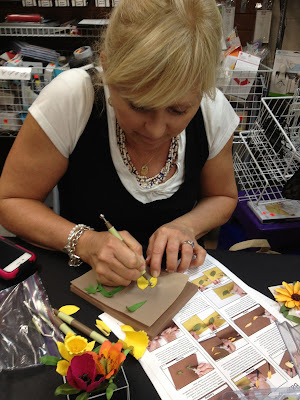 Here's Cheri trying to show me how to make the flowers using the new Susan Tierney flower dies that just arrived at the stores. If you love making flowers, these are the perfect dies for that. 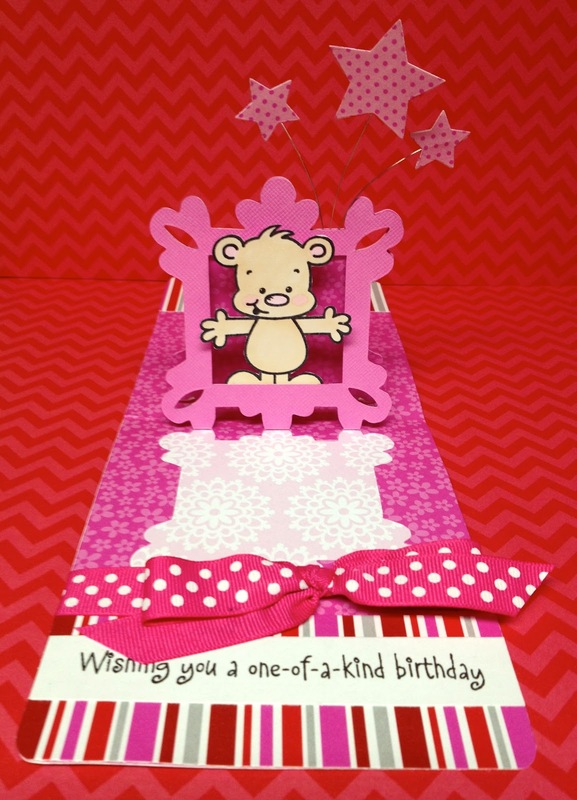 Here's the card that we made last week Saturday at J's. 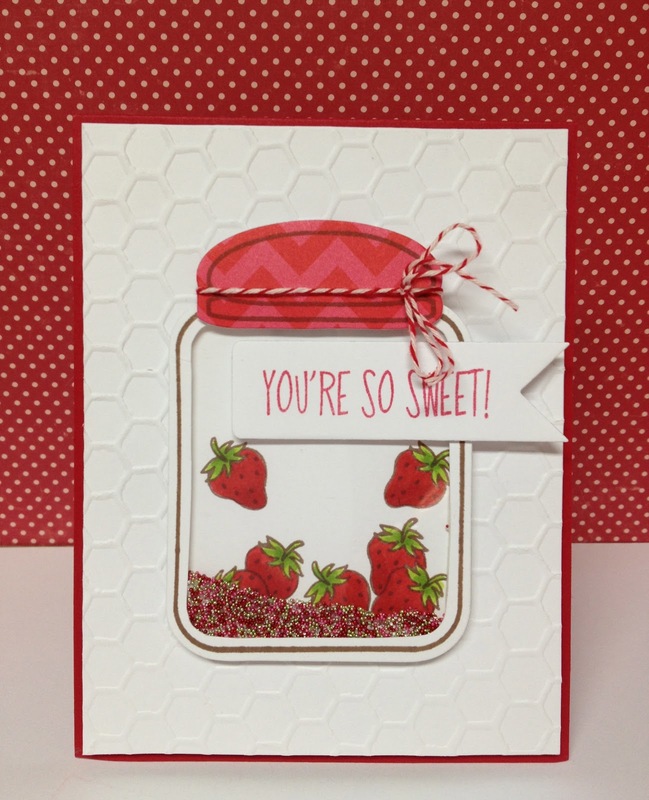 This is one of the new Doodlebug dies and stamps called "sweet treats". And the brand new Sizzix Big Shot machine that should be arriving at the stores this month! 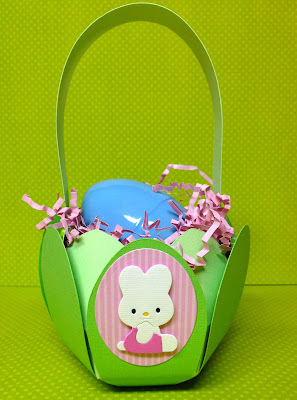 I'll be posting the rest of the make & takes later. Have a great day and thanks for stopping by!!! Lately, I have been seeing a lot of paper companies coming out with dies and matching stamps that coordinate with their lines. 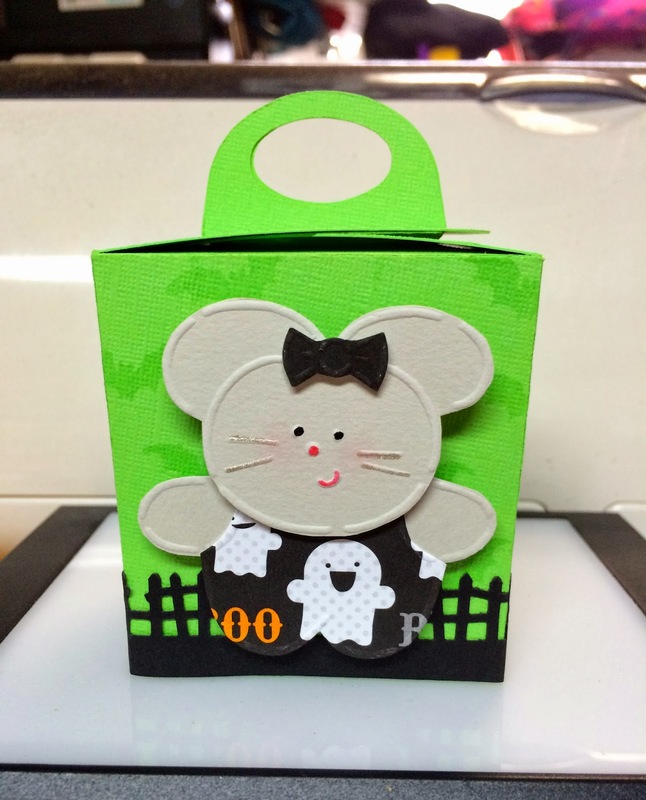 The newest one is Doodlebug Designs. I love how you can stamp the image and then take a die to cut out the image. So much easier than hand cutting. 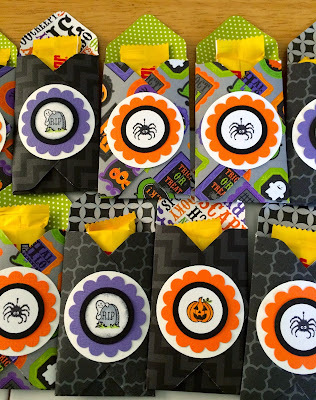 These stamps and dies are from the "baby boy" line. 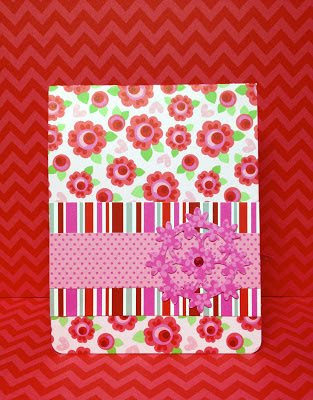 They are so cute and also coordinate with the double sided papers. 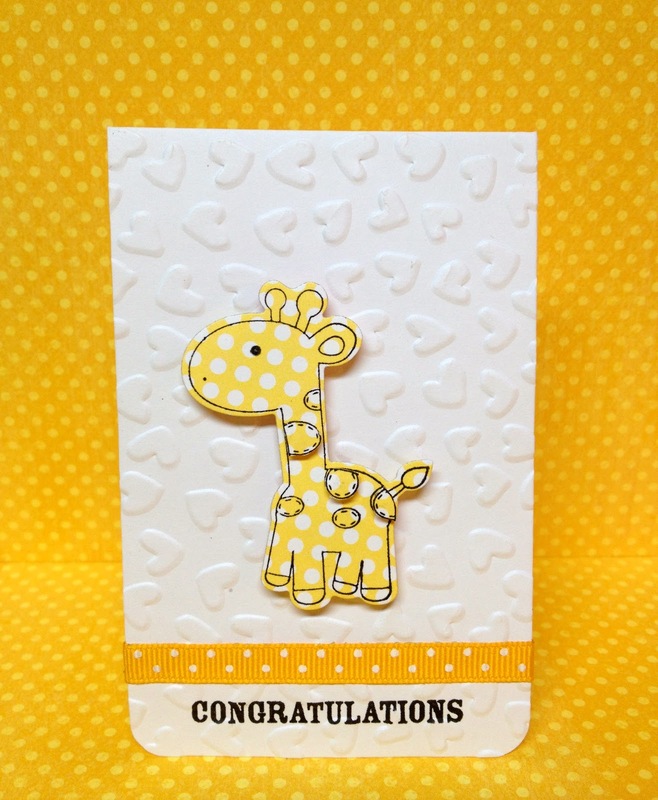 I made little cards to use on baby gifts. I decided to use Hero Arts stamp sentiments. These are from an older clear set. The embossing folders are from Sizzix. Hope you're having a great Thursday! Thanks for stopping by today!!! I'm sort of on a roll making cards which is good news since I somehow lost my mojo along the way. Yesterday was my husbands birthday and for us it is the dreaded tax day! Poor guy! Anyways, I made him a quick and easy card using a Sizzix die. How cute is this dog? The papers are old and from my scrapbooking days. 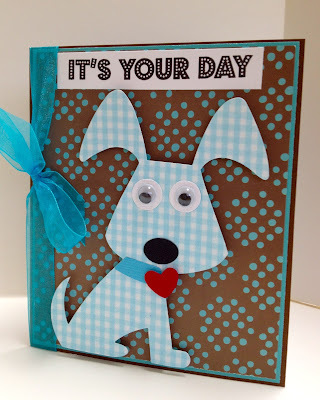 The stamp sentiment is from Hero Arts "it's your day" set. I stamped on the inside of the card but didn't want to take a photo of it since I wrote a message to my husband. Hope your day is going well and thanks for stopping by!!! Hi and hope your weekend is going well! I've been going through all my craft supplies and trying to purge out all the really old stuff. I have piles of brand new dies unopened and never been used and this Hello Kitty die is one of them. 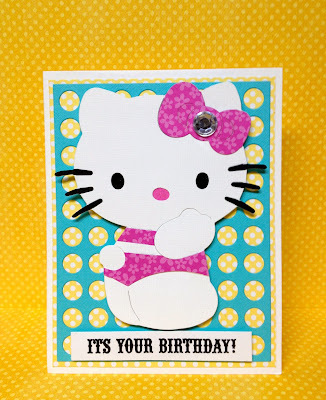 I wanted to keep the card simple since the background die cut has all the circles. I used Sizzix Hello Kitty "in bathing suit #2" die. 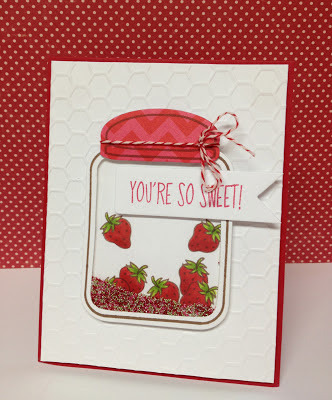 The background circles is a die from Cheery Lynn Designs called "lattice circles". 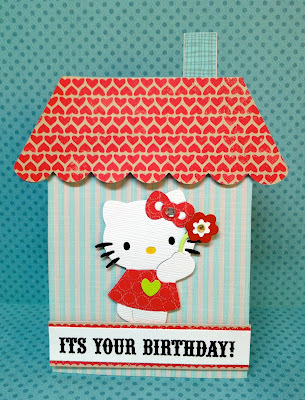 And the stamp sentiment is from Hero Arts called "it's your day". Love this stamp set! 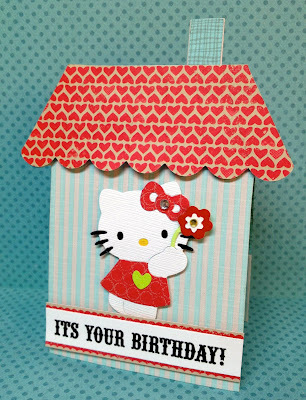 I really have to make a birthday card for my husband and planned on doing it today but got side tracked after finding the Hello Kitty die. Lol! Well, have a great weekend and thanks for coming by to visit me!! !